When you decide to throw a party you generally don’t think about being frugal too. After all, how are you expected to have a good time when there’s a maximum spend? But all too often we throw caution to the wind and overspend - only to regret the decision (and the hangover) in the morning. The first way you can save money is by sending your invitations digitally. This can be done via email or simply create an events page on Facebook and invite all your friends and family. You’ll not only save money in the process, but you’ll be doing the environment a favour too. 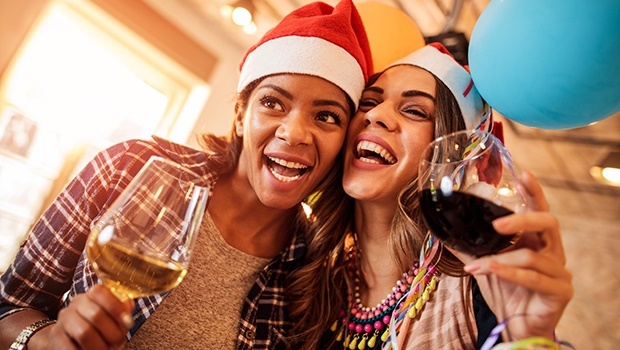 While this may not sound like fun, drinking less is an obvious way to save money. Think about all the decisions you ever made when you weren’t sober – bet they weren’t good ones! And that’s exactly the reason why you should consume less alcohol. You’ll be more rational for starters and you’ll also save money in the process. You can be the designated driver and save money on having to pay for expensive cab rides home. If you’re the one throwing the party, expecting your guests to drink less is hardly realistic. But there are ways you can save money by reducing the variety of drinks on offer. Think about giving the party a theme so you can mask this strategy, i.e. James Bond – where you only serve martinis. If you’re hosting a party rather have a rummage through your own CD collection and play DJ yourself. If your collection isn’t that impressive load music onto your smart phone. If you’ve got Apple equipment, consider using Apple Music which boasts a 40 million song catalogue, which you can use along with your entire iTunes library. You can use it for free for the first three months. Alternatively, consider streaming services like Simfy and Google Play Music. Simfy costs R60 per month for ‘all access’ but you can also make use of its two-week free trial. Meanwhile, Google Play Music also costs R60 per month but you have access to a four-month free trial. If you’re hosting, you’re no longer expected to provide all the eats and treats. These days its acceptable to ask friends and family to pitch in by bringing their own dish to taste and sample. And there’s also no shame in having a ‘Bring your own’ (BYO) braai, for example. If you still feel uneasy about doing it, sell the concept as a ‘recipe exchange’ for salads and desserts and supply the main dish yourself. Save money by not buying commercial décor. With ideas that can be taken from Pinterest and magazines you really don’t have an excuse not to go the DIY (do it yourself) route. Also, if you’re providing the meals, don’t get an outside caterer – doing your own cooking will save you money too. Again, there are plenty of recipes available online and if you’re not that skilled in the kitchen then there are videos you can follow too. By making your own food you can buy affordable ingredients and in bulk too, which again cuts down the bill. If you plan ahead and make savvy choices, there’s no reason why throwing a party should put you into the red. Remember - memorable parties aren’t made through spending lots of money. It’s all about how you make your guests feel. So make use of gimmicks, get your guests involved in a game or two. Play videos for the kids and make a simple craft table available to them. These are all simple things you can do that will entertain your friends and family but that won’t cost the earth. Focus on being a good host rather than one that simply flashes their cash.